In my travels around the world, nothing has been more consistently amazing than passionfruit. I am so adamant that anything passionfruit-related will be delicious that my Hawaiian friends, who call passionfruit Lilikoi, coined the phrase, “when in doubt, Lili out!” Indeed, the tropics offer an array of passionfruit-flavored food and drink. Mousse, yogurt, sauce for fish and meats, smoothies, juice, and margaritas. 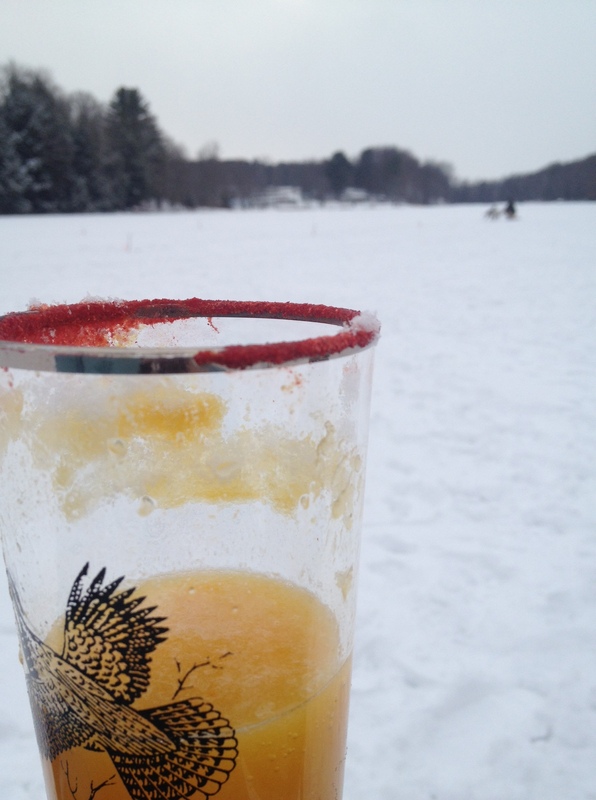 Well, this weekend we brought a bit of the tropical flavor to Vermont with passionfruit margaritas. Of course, we added our special VT twist by serving them over snow instead of blending or serving over ice. And we drank them while ice fishing (I only lasted about 10 minutes out on the ice but it was fun while it lasted). Mix together in a pitcher. Sweeten to taste with maple syrup, agave, or liquid sugar. Rim the glasses with li hing mui powder. Pour over ice or snow. Enjoy! 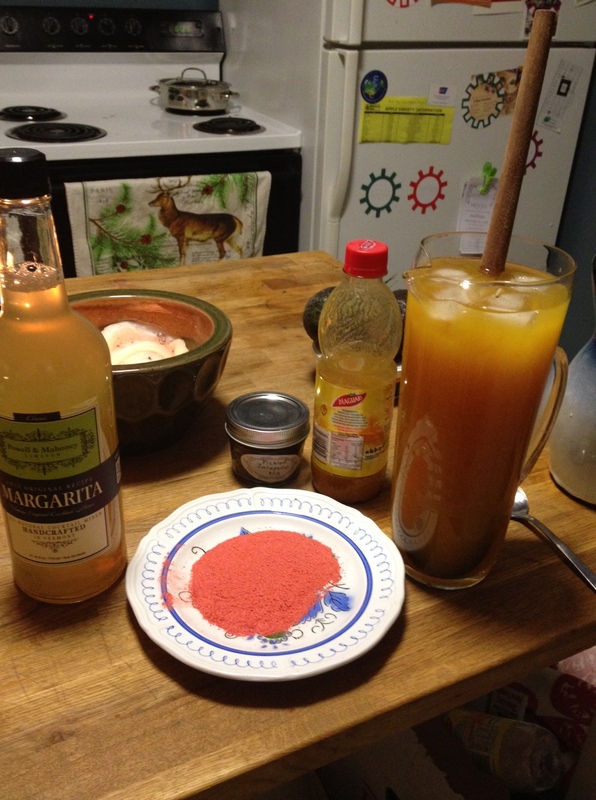 This entry was posted in Drinks, Real Foods, Recipes and tagged margarita, passionfruit on February 14, 2014 by gfvermont.